Listen to an hour-long show, devoted to the solo projects of the members of Portugal’s RED Trio, a free improvising group of piano, bass and drums. The show has been produced for the online radio station Resonance Extra. This is a special SHAPE platform broadcast, dedicated to the solo projects of members of RED Trio – arguably, Portugal’s most prominent free improvisation ensemble. 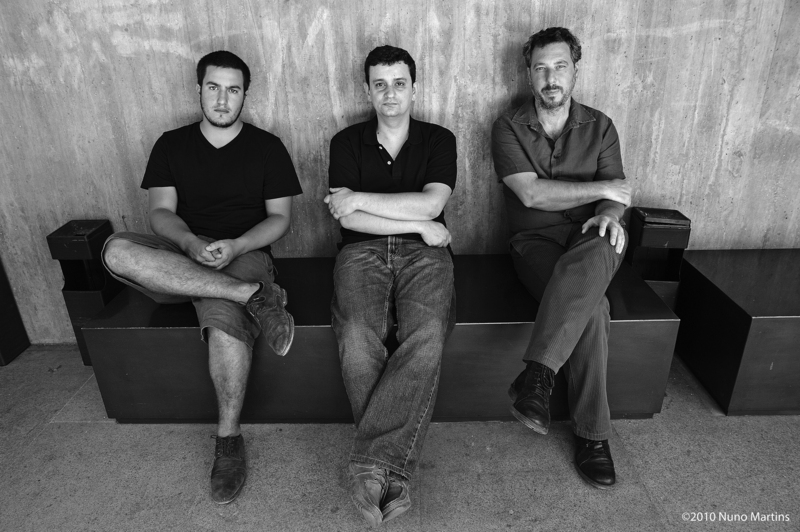 Red Trio is: Rodrigo Pinheiro (Piano), Hernani Faustino (bass) and Gabriel Ferrandini (drums). Other players, heard during this hour, are Yedo Gibson, Pedro Lopes, Miguel Mira, Carlos Zingaro, Lotte Anker and many more. RED Trio are 2018 artists of the SHAPE platform for innovative music and audiovisual art. You can catch them live at the 2018 edition of Skaņu Mežs festival in Riga, where they will be teaming up with the Grammy-nominated microtonal viola player Mat Maneri for the first time.